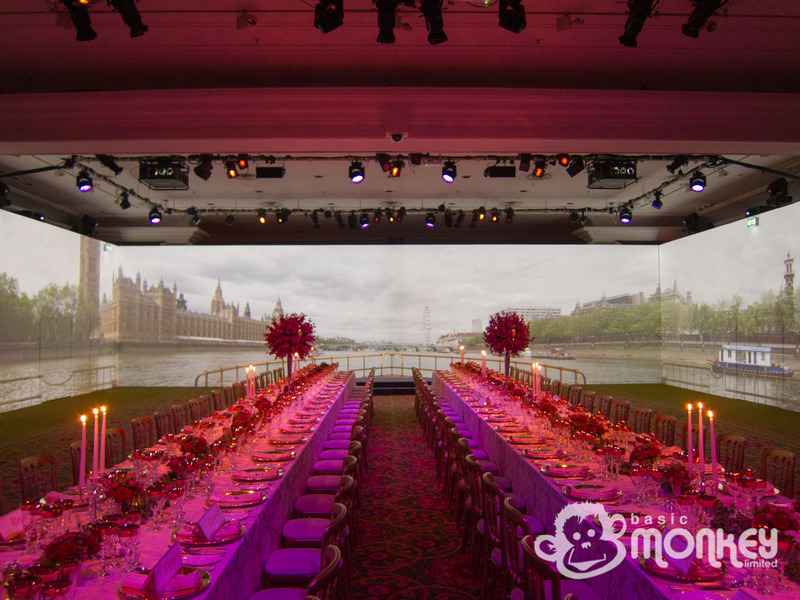 For a few invited guests, the 2012 Olympic experience was made extra special when they were treated to a culinary and visual feast at the Grosvenor Hotel. 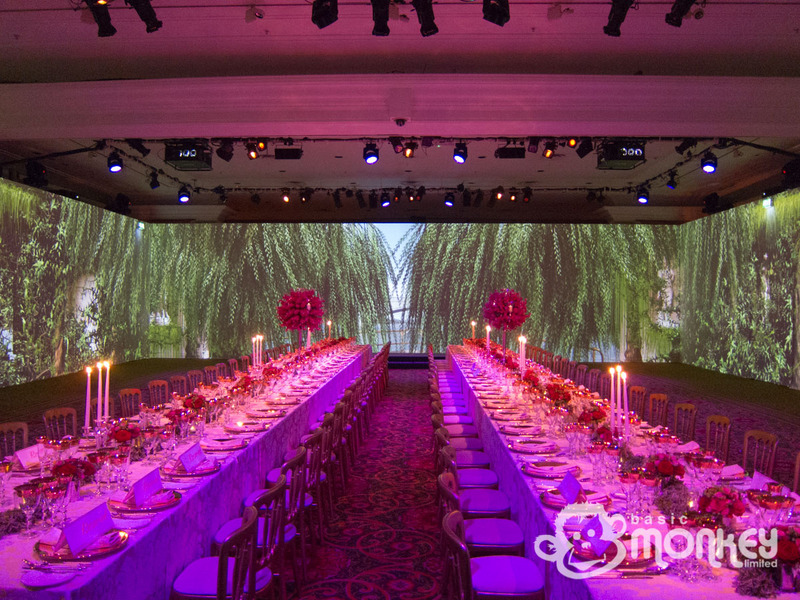 The guests walked into the small ballroom at the Grosvenor, to be greeted by a large banquet table, adorned with gold chargers and stunning flower displays. 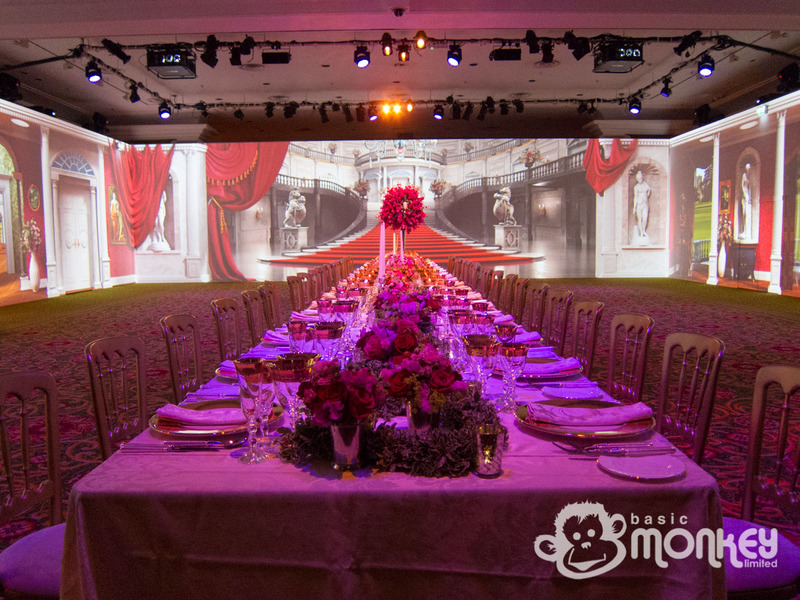 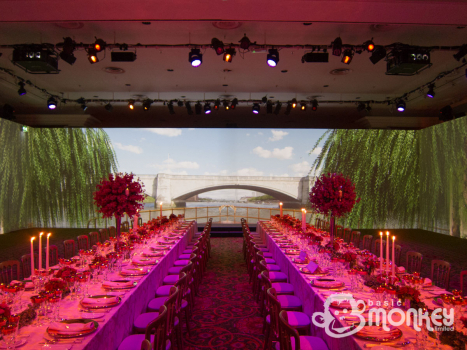 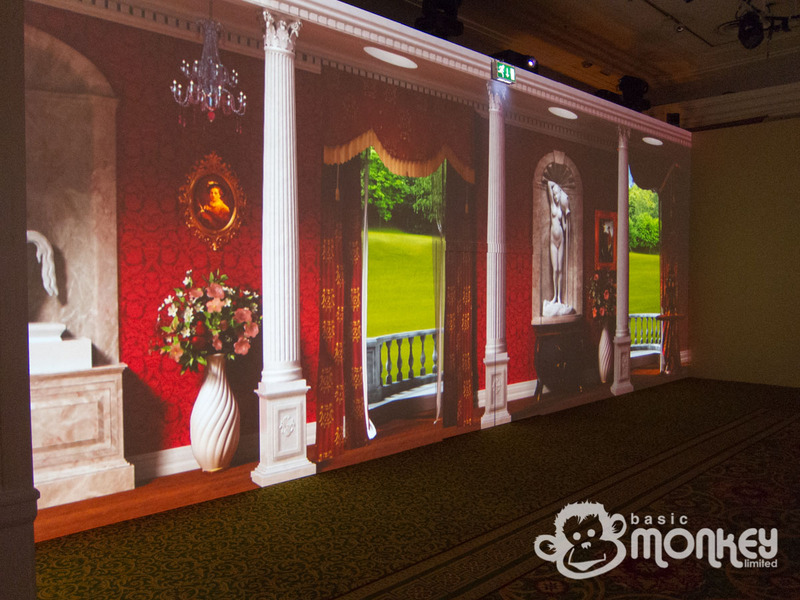 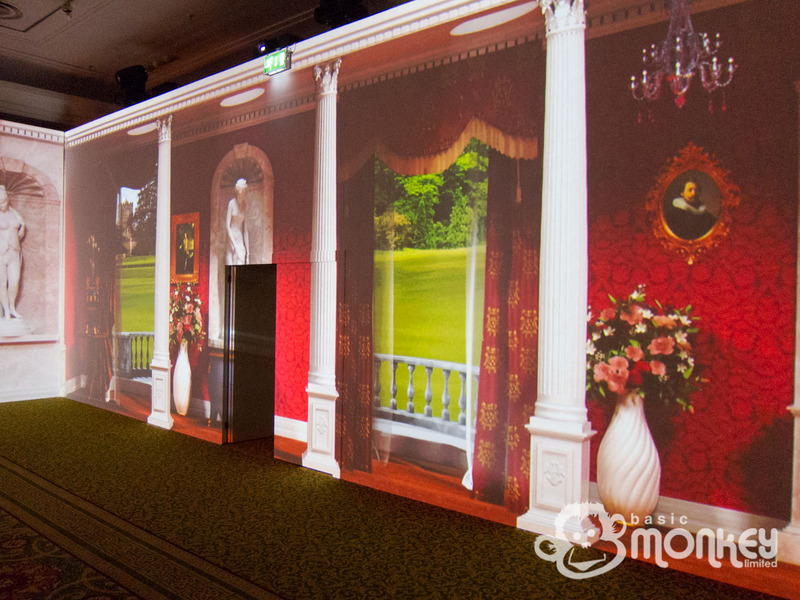 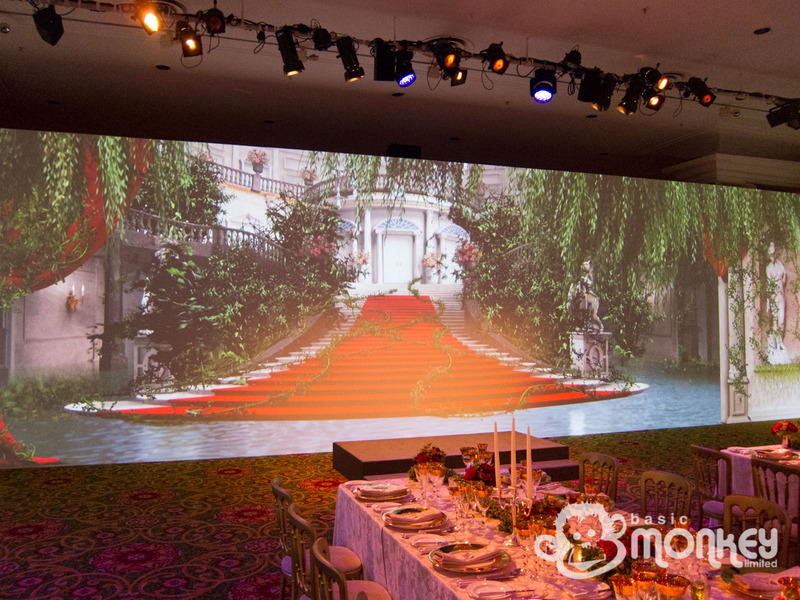 The walls of the room were projected with lifelike images of a mansion dining room. 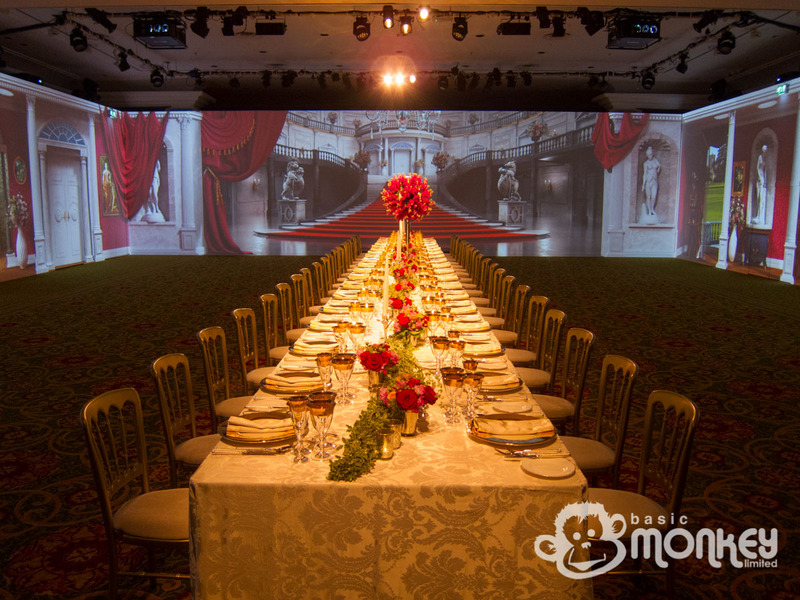 These images weren’t just static; during the course of dinner, waiters, maids and even dogs walked the corridors, with more people and animals playing outside the windows. 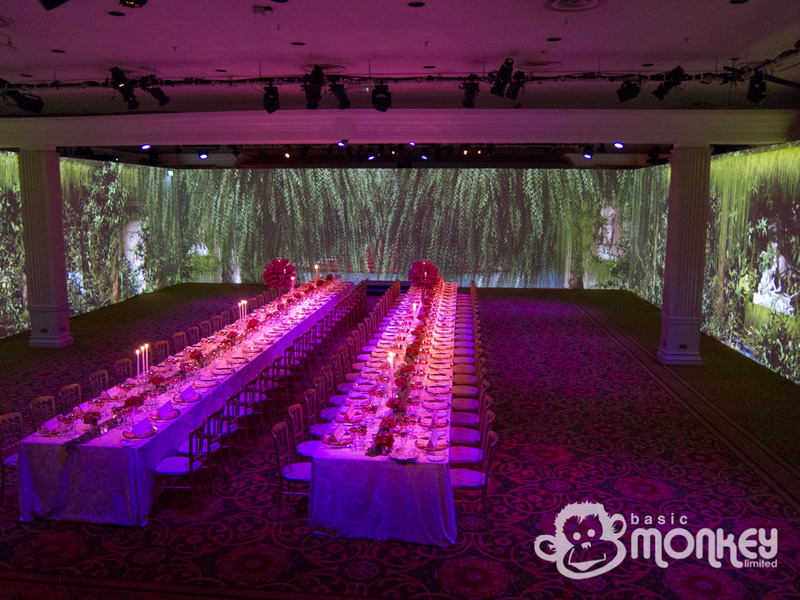 After starters, the walls were engulfed with vines and the room becomes surrounded by thick foliage. 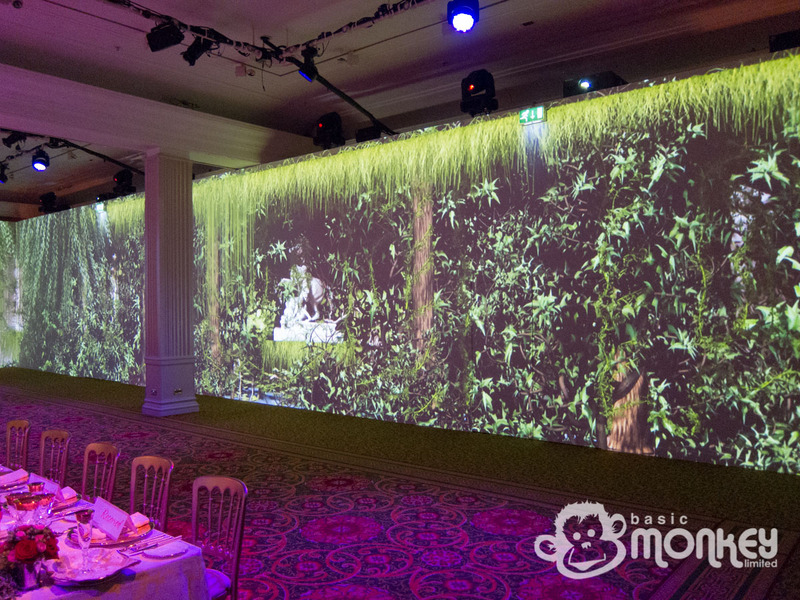 These vines then retract from the centre of the main wall and reveal that the audience is now on a boat, gently moving down the thames. 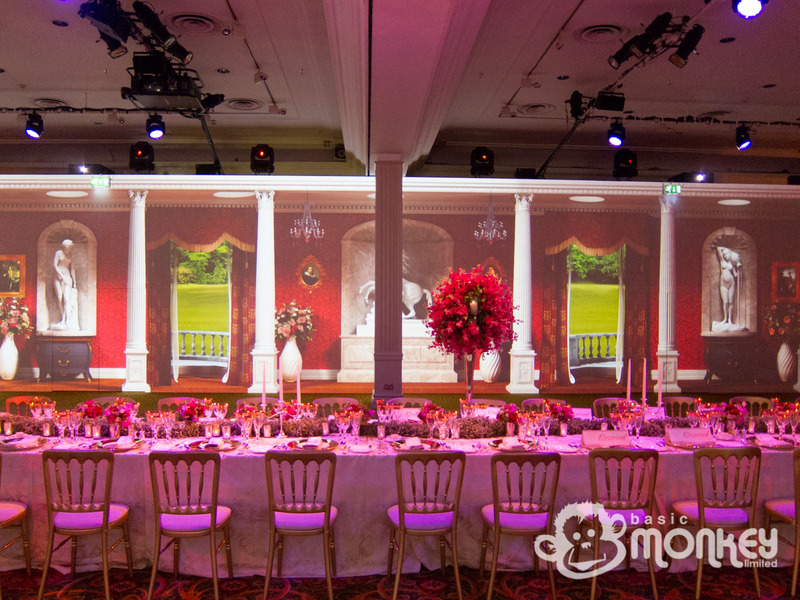 40 minutes passed and the guests arrive at the Olympic stadium in Stratford. 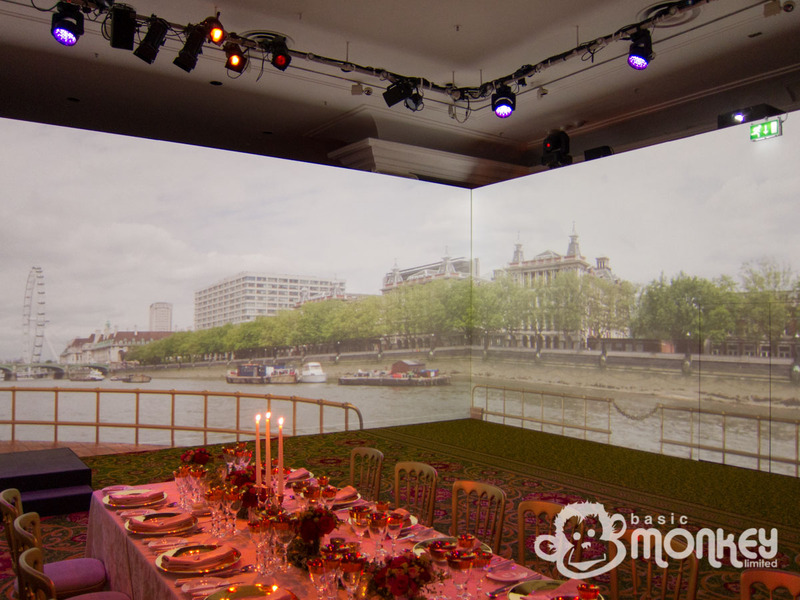 At this point the host of the evening talks to the guests, then reveals (by dragging a virtual curtain across the wall) an animated night-time 270 degree view from the top of the Shard in London. 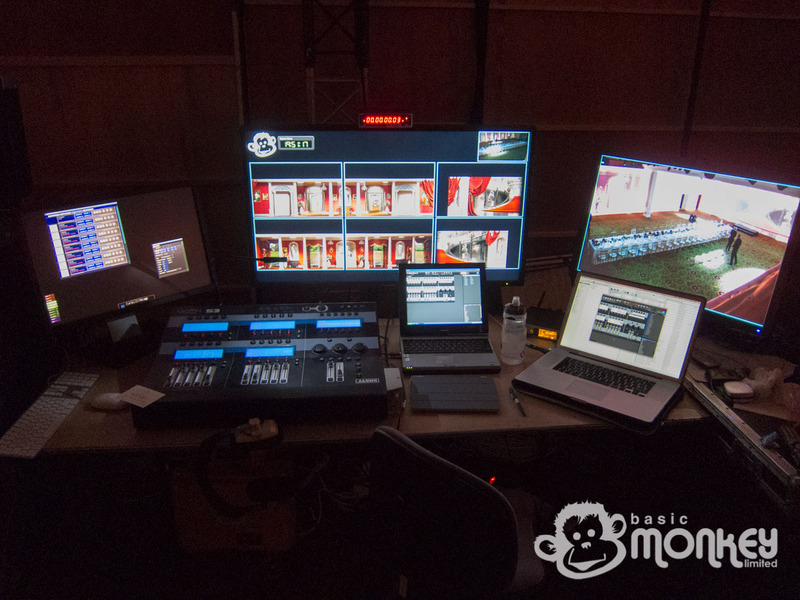 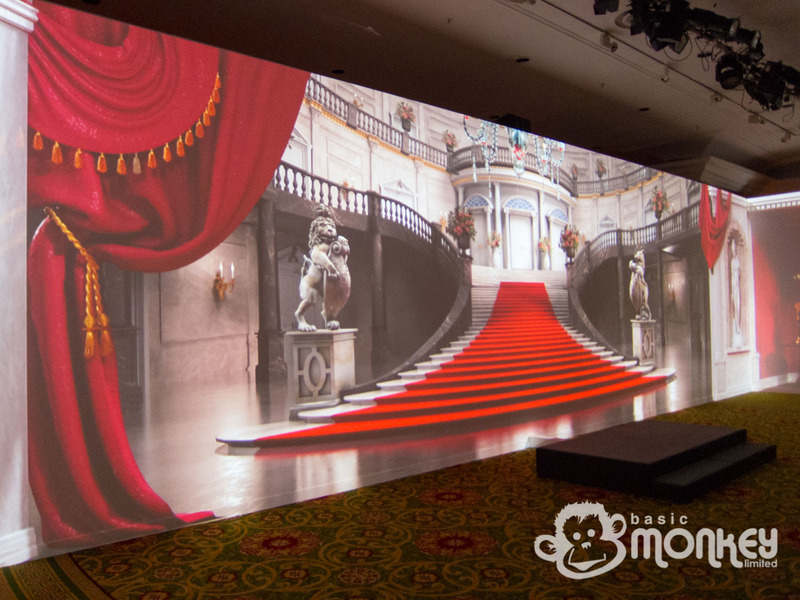 Basic Monkey supplied our dual Catalyst system for the event, with updated graphics cards to handle the complex layering and use of alpha channel videos. 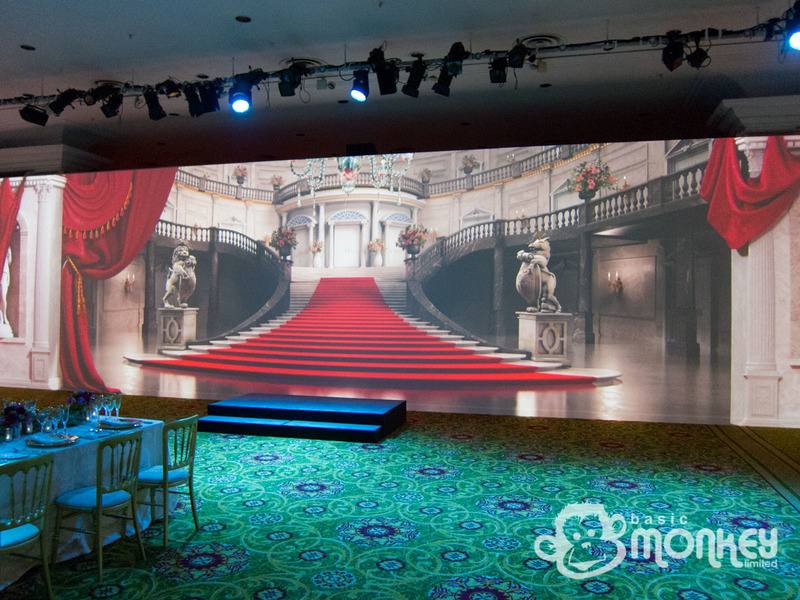 This was all controlled using our Jands Vista console by James who was tucked behind the virtual staircase. 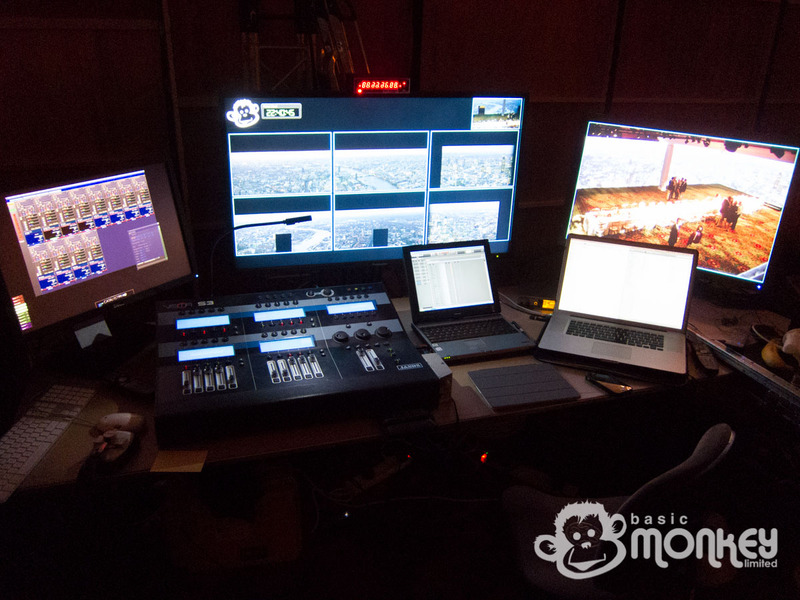 The content was produced by Knifedge, who have a rich theatrical background. 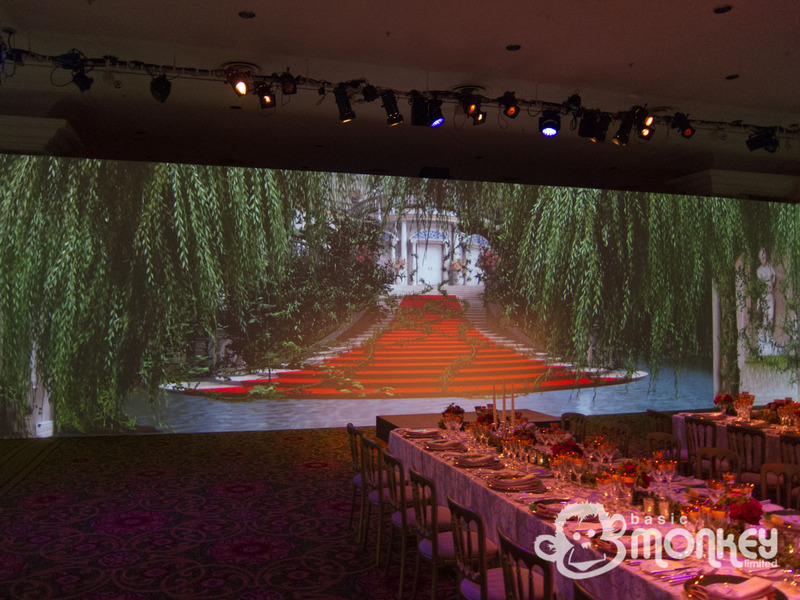 The river sequence was shot using Red cameras, at Ultra HD. 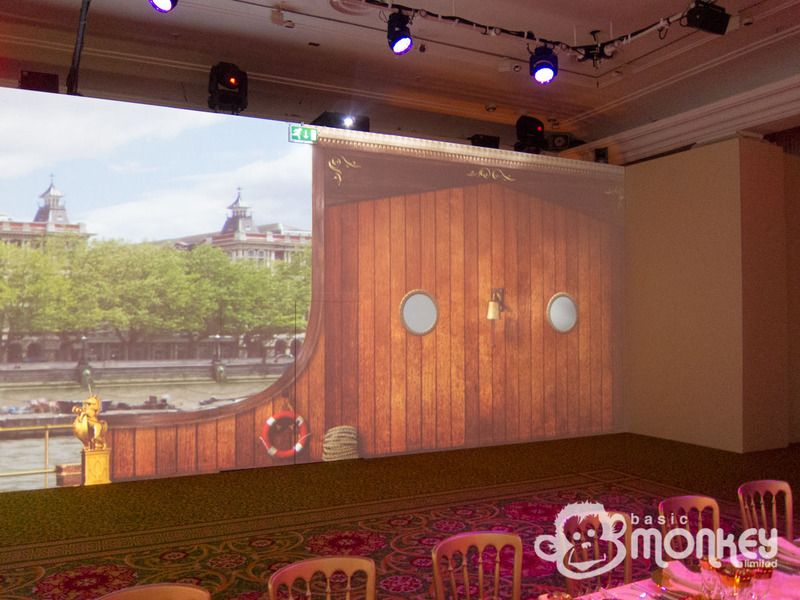 This was then treated by a team of animators to allow the boat to travel through time and space under ‘magic bridges’. 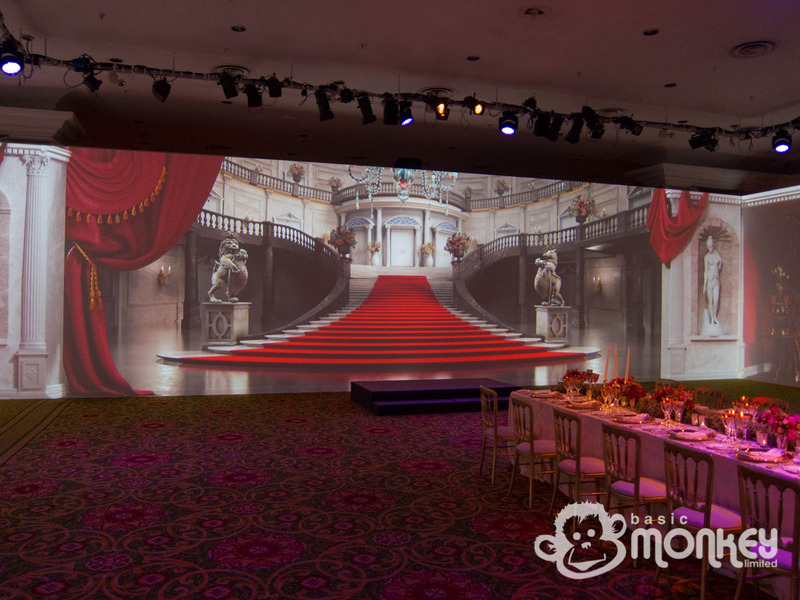 Projection equipment was supplied by XL Video, along with additional Catalyst machines. 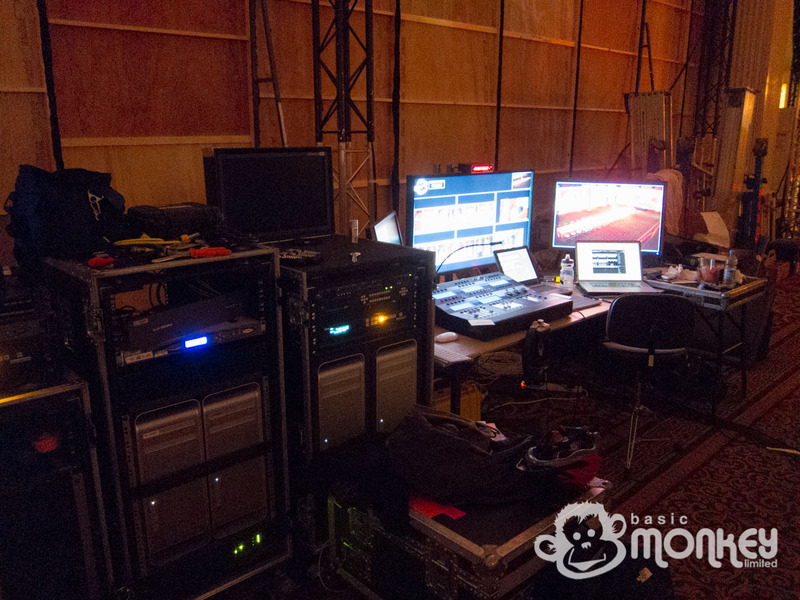 There were also 2x hot-head cameras hung from the ceiling to record the show and allow the team behind the walls to see what’s going on.